1). Which of the following can be used to select the entire document? 2). A concentric circle on a disk is called a ________. 3). DSL is an example of a(n) _________ connection. 4). Instructions and data that are processed by the CPU are located in ________. 5). All of the following are considered to be storage devices EXCEPT ______. 6). The commonly used UNIX commands like date, Is, cat etc. are stored in _______. 7). A circuit with about 100 transistors fabricated on a single chip is called ________. 8). One megabyte equals approximately _________. 9). A computer checks the ________ of user names and passwords for a match before granting access. 10). 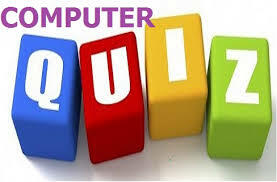 Computers that are portable and convenient for users who travel are known as ______.